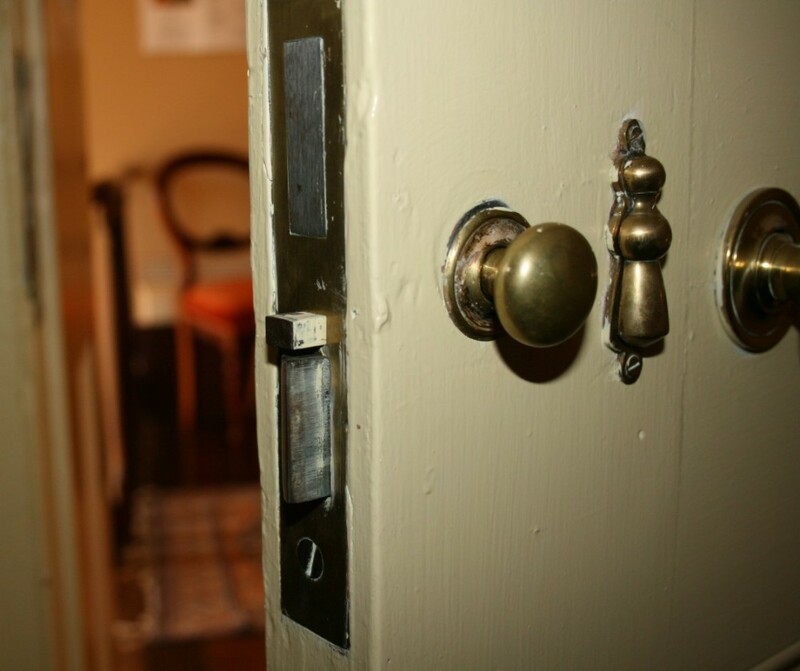 This bedroom door lock is functionally the same as the utilitarian rim locks elsewhere on the same property, wherein the handle moves the latch will releases the door and the key turns the bolt that secures the door, independently of the latch. There are are two noticeable differences. 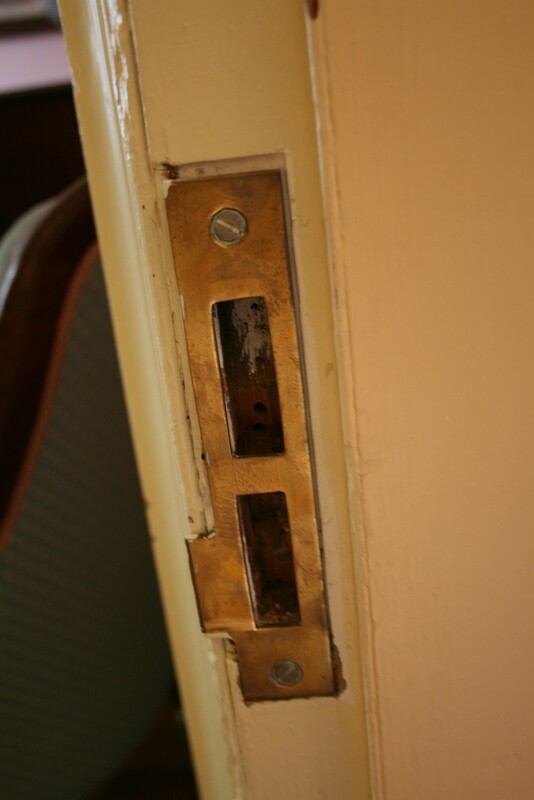 Firstly, the key hole cover. 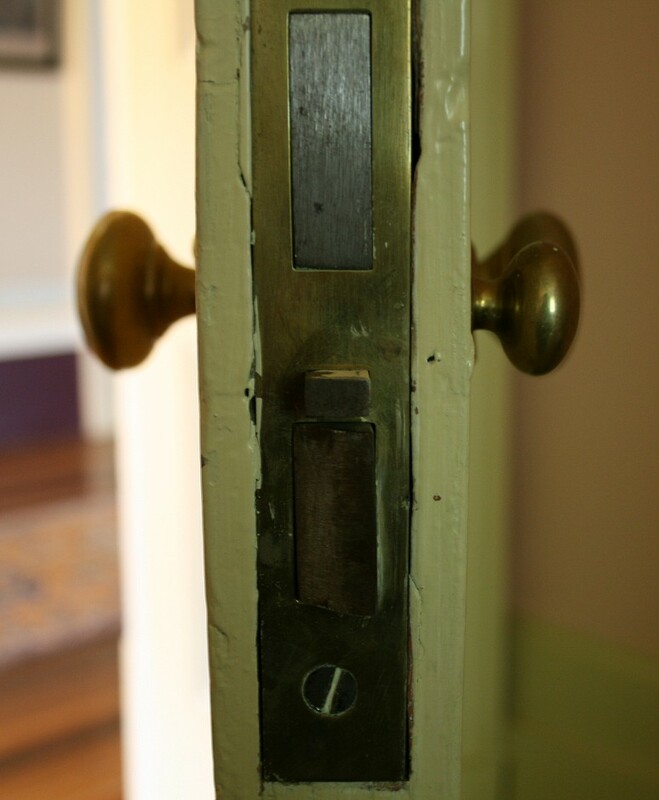 Secondly, this small knob on the inside of the door, in addition to the regular door handle on the right. 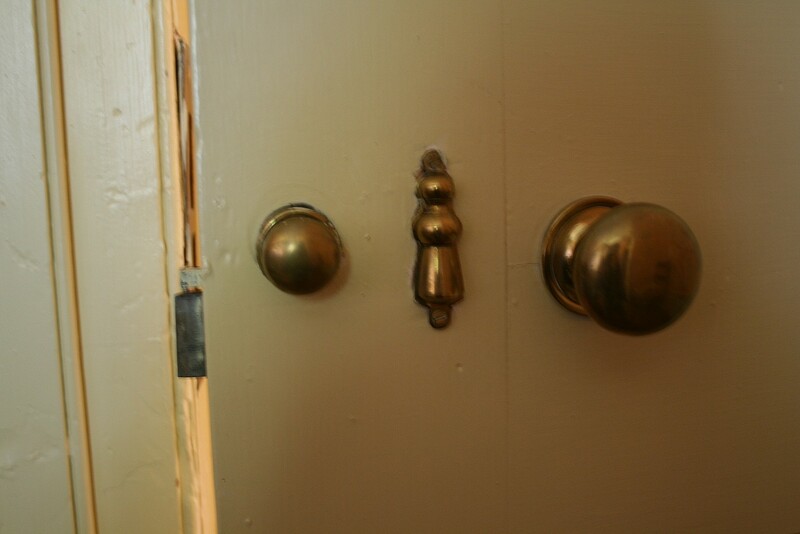 This knob operates a small bolt, seen here above the latch. 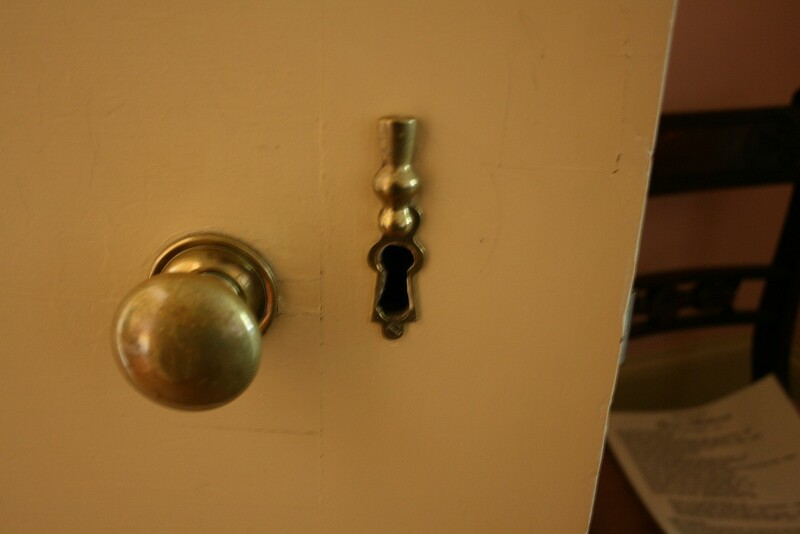 So the door can be secured from inside the room without the use of a key, and is unable to be opened from outside. 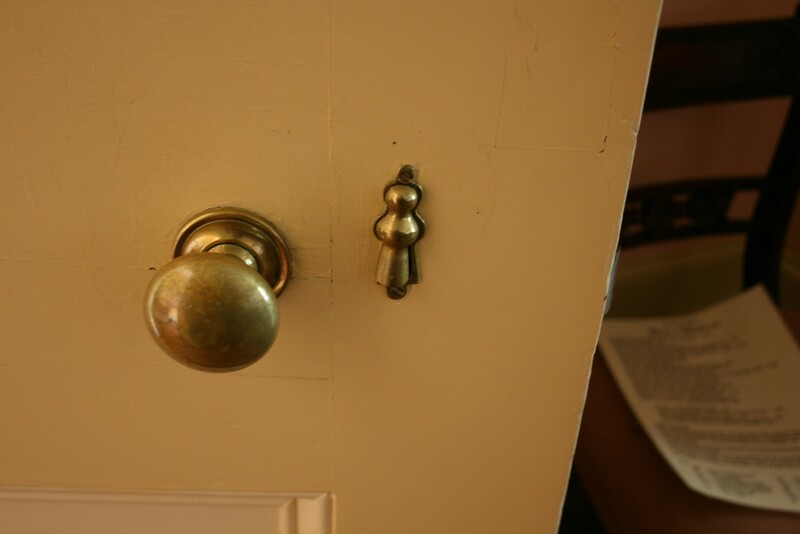 Here the smaller privacy bolt has been withdrawn. 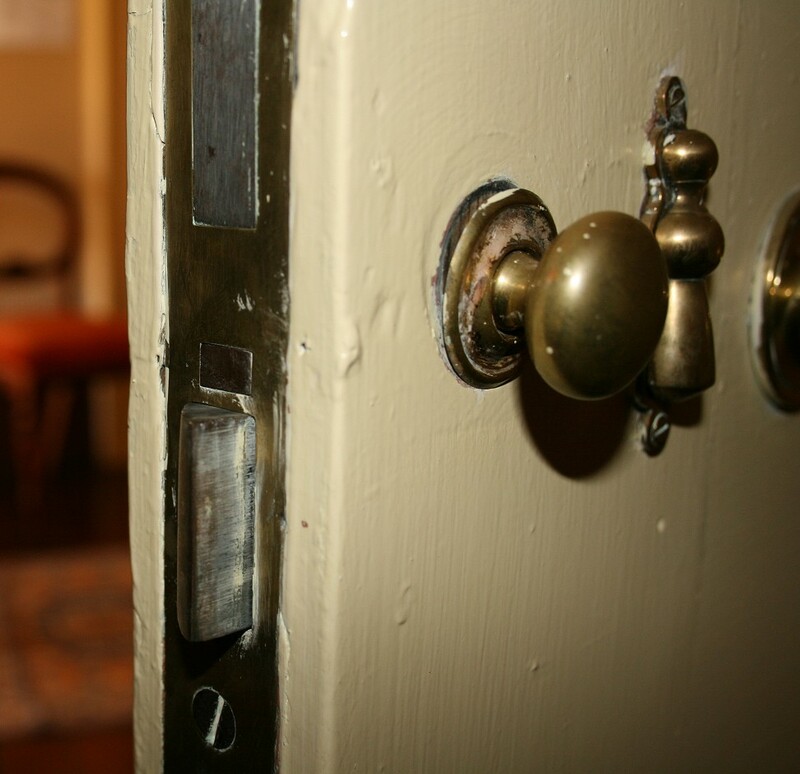 It can be seen just above the latch.